Lately I’ve been all about the Goodwill bracelet finds. There’re so many treasures to be found at Goodwill, stuff that has a feeling to it. It’s beautiful that one item was cared by somebody, and now it’s under my watch. There’s a special link between me and them. 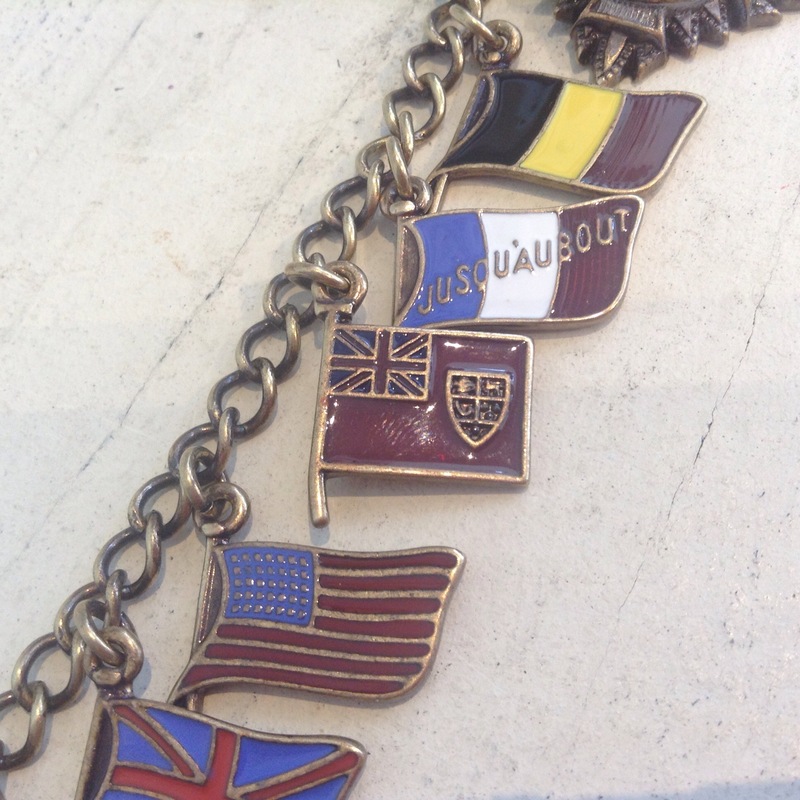 I think that’s why I love ID bracelets so much. It’s actually pretty funny how I have this odd little collection of other people’s ID bracelets, but none in my own name. 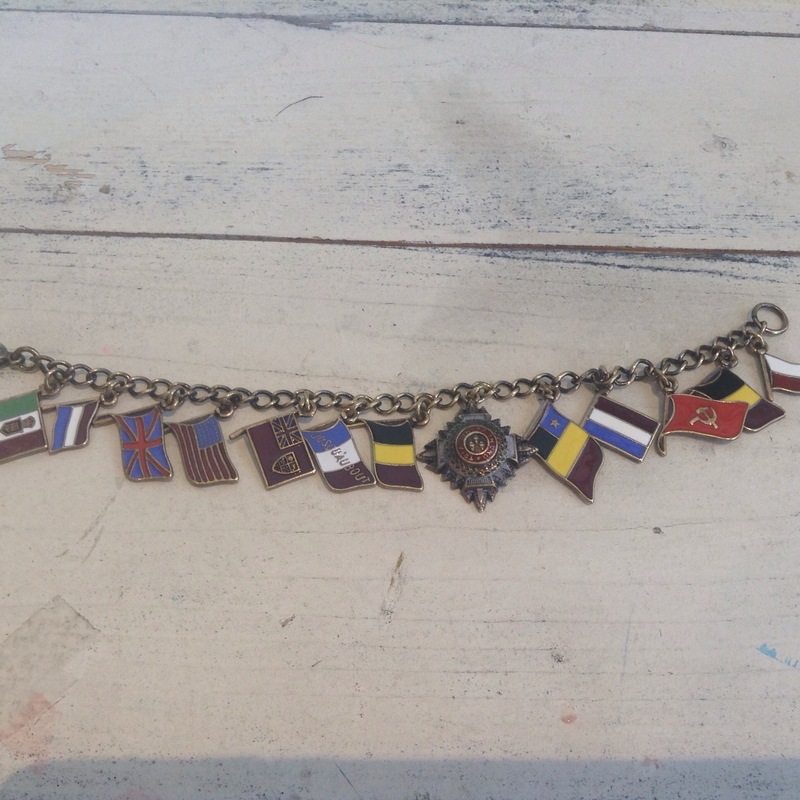 The flag charm bracelet is also a Goodwill find. My dad was a big flag collector, a vexillologist if you will. I paid more than my usual Goodwill budget to purchase this guy, $19.99, an outrageous sum in the world of Goodwill shopping! Now armed with my inherited collection of flag books I’ve set about IDing the various flags. 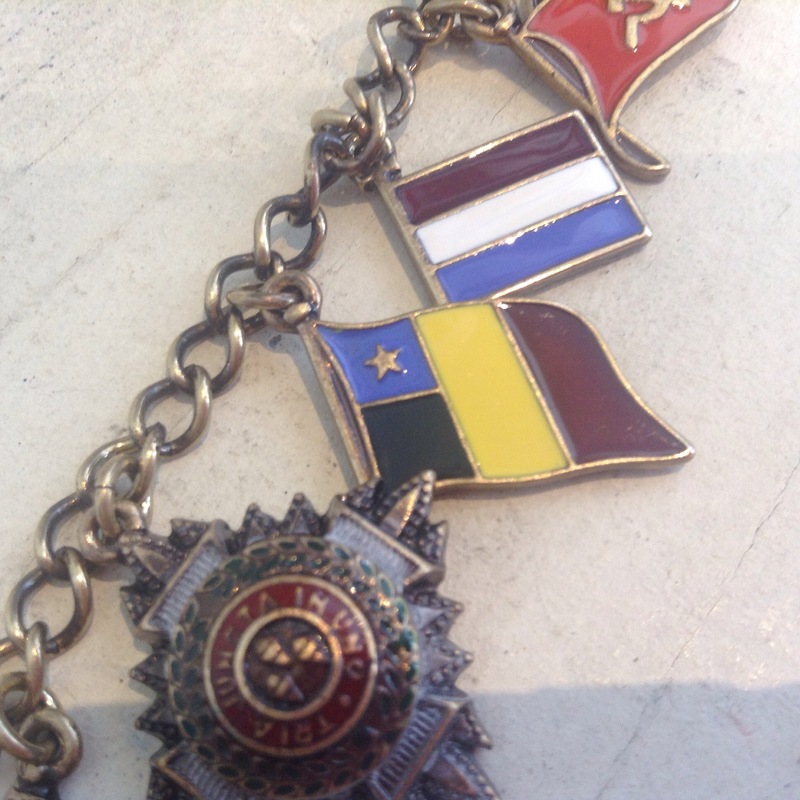 So what I’ve deduced so far is this is a Belgian charm bracelet from the early to mid 1900’s, maybe a collection of Belgian allies? I don’t know. I welcome anybody with some historical insight to chime in! What do all think? Any theories? What a steal/awesome find! You should go to all those countries now. I got a bangle at Goodwill today! Yeah??? What’s it look like? Also- that’s a great travel itinerary idea. I left it in the car & it’s probably an icicle bracelet now I’ll go grab it. It’s a brassy costume jewelry-ish bangle? I’m bad at this! You should go on some sort of bangle-related trip for sure. For research of course! I should. 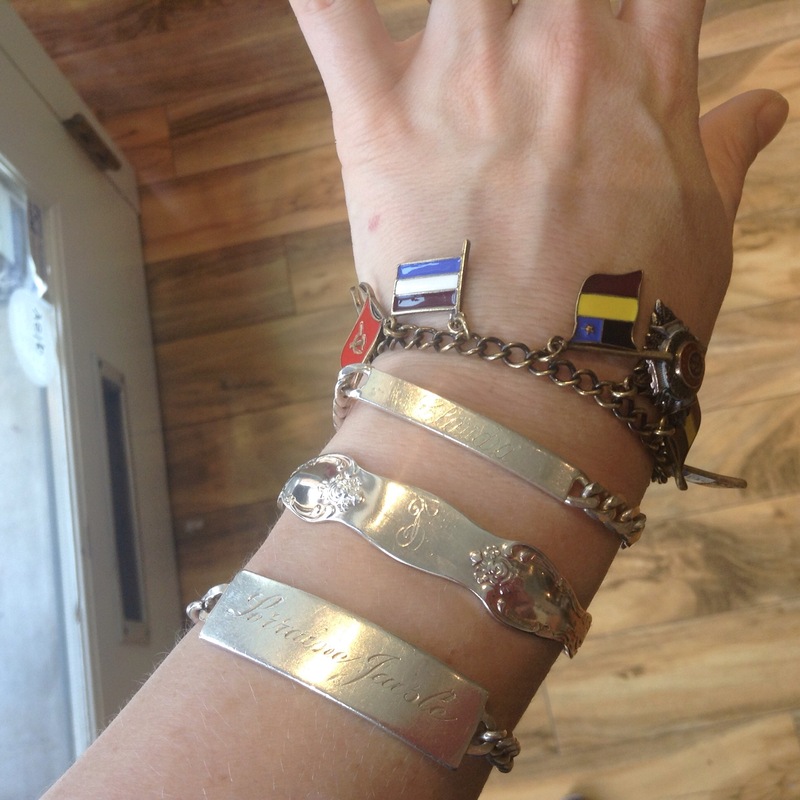 So I used to just like bangles and everything a lot but the more I do this blog the more obsessed I’ve become! Especially with figuring out info about the vintage stuff. What an awesome Goodwill find!